just want to share for everyone who are waiting for the remaining OSTs. i find this clip from Music&New ! turns out the OST that i've been waiting for are sung by Red Velvet' Wendy, Davichi and KWILL. yesssss!!!!!!!! You are not alone . Wouldn't it be hilarious if Eric was one of HSG's transformations! this is actually a good idea!!! Psst, this is fast becoming one of my, current, fav kdramas. In each episode, I’m chuckling at their witty dialogue. So much fun! But grandpa seems to be the only one OK with SDJ dating HSG! Nonetheless, I had to agree with SDJ mentioning how excessive/extravagant it was to have a family meal the way they did. Idk I must be really biased towards SHJ as with her previous dramas I have laughed with and cried for her so this drama is no exception, I have watched these episodes several times and each time I have cried. Her first transformation as the old lady sitting outside the hotel room bawling her eyes out and then when she pushed her pride aside and knelt down in front of the director, apogologizing for something that is totally out of her control. What a heart wrenching scene that was. 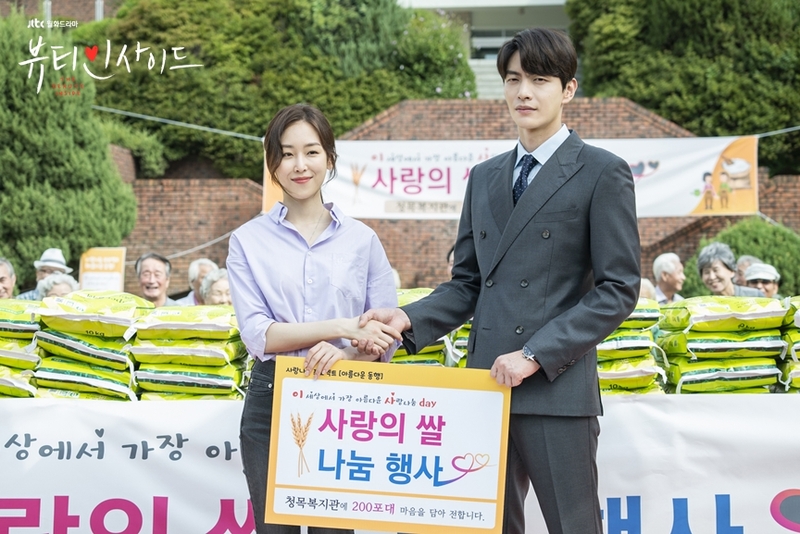 I hope that in future episodes HSG is able to confide to the person (the director) she respects most in her industry so that he is able to help her. Still waiting for SG-DJ's bts.. what movement again from these two to prove their on-off screen chemistry? I cant get enough. 4 times] Because I am the only one that I can distinguish. Gahhh...I am in so much trouble. 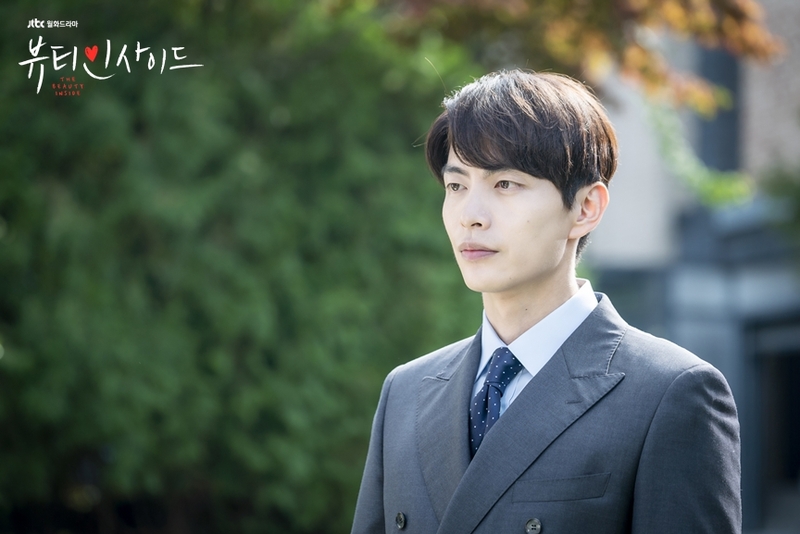 My drama watching schedule is getting crazy but my itchy fingers decided to click on this one ... and I am done for the next 2 months or so. Marathoned the eps ... it is so good I didn’t feel the time pass. I thought it might be strange to see different actors play lead but her changes were seamless and didn’t feel awkward at all. Convos were witty...I like. Chemistry is good too! Yay! Me too! Hopefully someone will have time to translate all the bts vids! just leaving some pics of our top star HSG and her sunglasses, I wonder how many has she donned so far? That's a good way of promoting the drama by T'way Air. Hey, priority is BI ar. I'm watching another drama too, but that's Wed-Thu, i can binge watch later. Hi @angel2013 am so glad that you back here finally....yeayy pls join us during the live in Monday and Tuesday......fortunately @supergal99 Is keeping her interest in BI so intact....regardless I will watch any SHJ drama till the end....lol promise..lol! Some review on blog. More love for Beauty Inside. i loveeee lovee their chemistry!!!!! and can i say that Seo Hyun Jin styling is on point on this drama? all her clothes, hair, makeup everything is perfect! she's sooooooo pretty !! can't wait for next week!! I find her more than pretty. I was so surprised how gorgeous she is in this drama. I loved her look in Romantic Doctor Kim but I was caught off guard this time around. The only other drama I saw her in is Another Oh Hae Young. I really enjoy her acting in all three of these drama shows.